The Samsung UBD-M9500 Ultra HD Blu-ray player is one of the hottest 4K Blu-ray player, easy to use and responsive, which can support the 4K UHD Blu-ray, you can connect the Samsung UBD-M9500 Ultra HD Blu-ray player to 4K TV and enjoy the 4K high videos. Compared with the 4K Blu-ray disc, the digital 4K videos are more convenient, you can take full use of the USB port and play the H.265 4K video on Samsung UBD-M9500. By the way, if you want to keep the 4K UHD Blu-ray videos for longer time, you also can get the digital H.265 4K video from the 4K Blu-ray, then you can play the H.265 4K video on Samsung UBD-M9500, also you can keep the 4K Blu-ray disc well. You don't worry about the 4K Blu-ray disc is damaged, you can also share the 4K videos with friends. This post will show you how to play the H.265 4K video on Samsung UBD-M9500. If you want to get more free 4K videos for Samsung UBD-M9500, you can download the 4K videos from the 4K video download websites, also can install one 4K video converter which can convert the 4K Blu-ray discs to H.265 4K video. also you can adjust the 4K videos to Samsung UBD-M9500 best supported 4K videos. I want to tell you the best 4K video converter and easy steps for you. Remove the Blu-ray and DVD copy protection, like the DVD region code, Blu-ray region code, CSS, UOPs, Blu-ray BD+ etc. Getting the 4K videos from the 4K Blu-ray, then playing 4K Blu-ray movie on the PC, Mac, TVs with USB at will. Provide the comprehensive 4K devices preset, such as: iPad, Xbox One X, PS4 Pro, iPhone 7/Plus, iPhone 7, etc. You also can install the 4K video player for Mac, PC and play 4K videos happily. Use the NVIDIA CUDA technology and AMD APP technology, bring you the 30 x faster H.265 4K video conversion speed. Amazing 3D video conversion, you can get the 3D videos from the common 2D videos, DVD and Blu-ray disc. Step 1. Start the program on your computer, click "File" > "Add Video/Audio" to import digital file formats into the program, you can load the common 2D videos, other 4K videos, for example: DJI 4K videos, 4K camera videos, etc. Step 2. 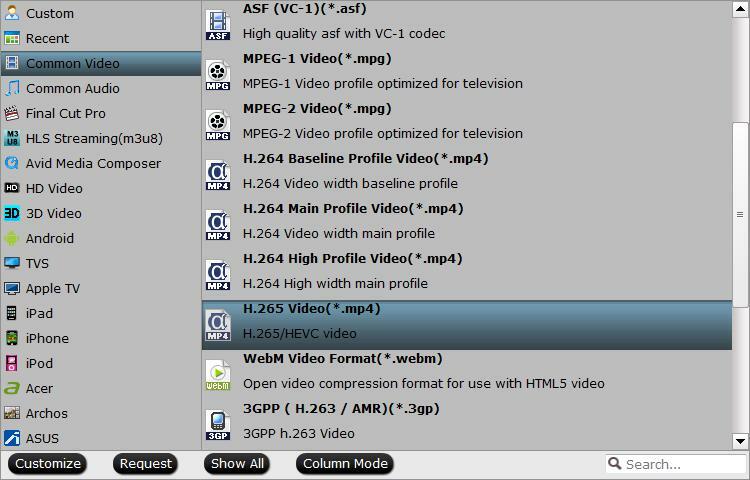 Click the Format button and choose the H.265 MP4 videos from the HD Videos. 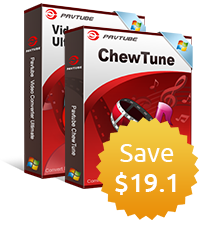 If you want to get HD videos from the SD videos, you also can choose other video formats for playback, this software also provides you the comprehensive device preset, just select them by your own need. After the video option is done, then you need to adjust the video resolution from the HD to 4K. 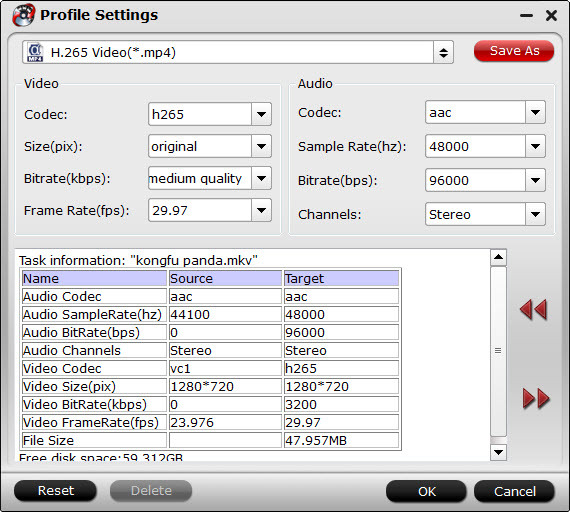 You also can adjust the video frame, video bitrate, video codec, audio codec, audio channels. etc. Step 3. Click the Convert button to start the video conversion, just few minutes, you can get the desired 4K videos for Samsung UBD-M9500. Step 1. Start the program on your computer, insert your DVD disc into your computer's optical drive and your Blu-ray disc into an external Blu-ray drive, click "File" > "Load from Disc" to load Blu-ray/DVD disc into the program. Step 2. Click the Format button and choose the H.265 MP4 videos from the HD Videos. Then follow above ways to adjust the videos resolution. Step 3. 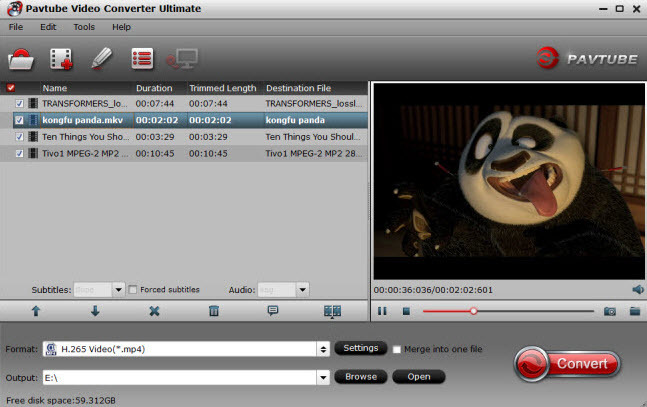 Click the Convert button to start the video conversion. After the video conversion is done, you can save the videos in USB and insert the USB to Samsung UBD-M9500 for playing.